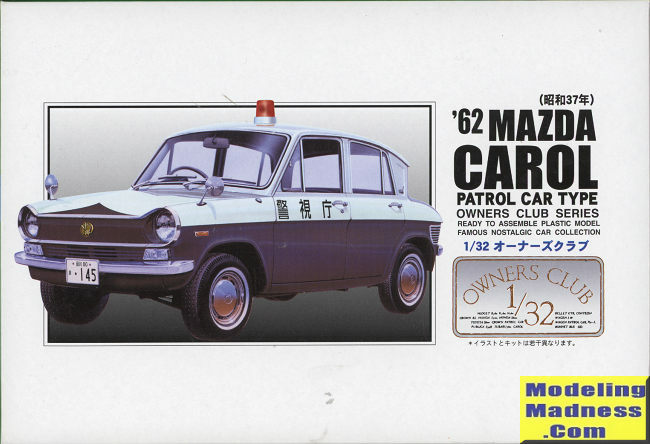 The Mazda Carol is a name that was used by Suzuki for Mazda for its kei cars from 1962 until 1970. It was revived again with Mazda's 1989 re-entry into the kei car class with the Autozam brand. 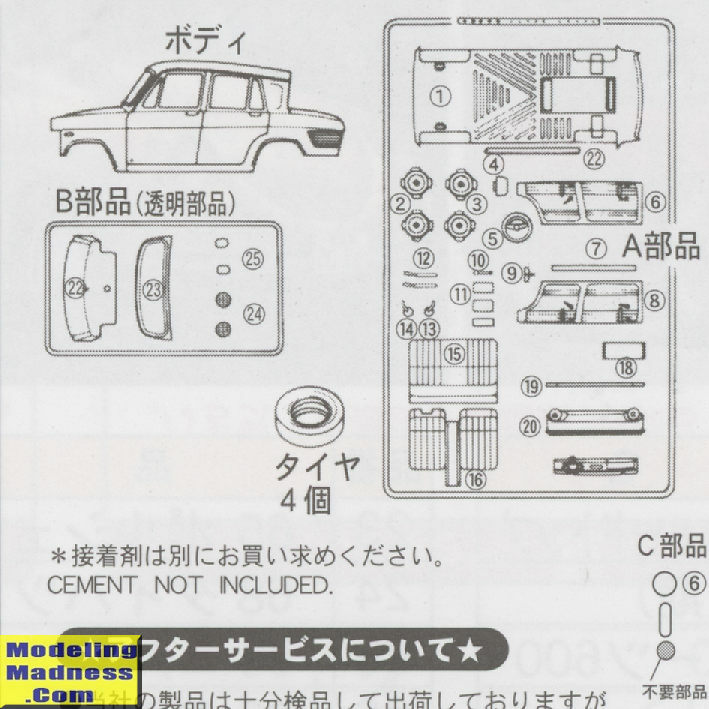 Since then, it has been related to the Japanese Suzuki Alto. The Mazda R360 was complemented by the more grown-up 2-door sedan Mazda P360 Carol in February 1962, the company's first 4-passenger car, and complemented the three-wheeled Mazda Mazdago. It was more substantial than the R360: although its total length of 2,980 mm (117.3 in) was the same, its 1,930 mm (76.0 in) wheelbase was considerably longer. The Carol weighed in at 525 kg (1,157 lb), versus 380 kg (838 lb) for the diminutive R360. It used the DA, a 18 PS (13 kW), rear-mounted water-cooled 358 cc 4-cylinder OHV engine. This is one of the smallest four-cylinder automobile engines in history, only Honda's 356 cc DOHC alloy inline-four unit (used in the T360 truck) was smaller. The four-speed gearbox was synchronized only on the top three gears. The Carol was perhaps overengineered: it had a very strong monocoque body, a four-cylinder four-stroke engine with a five-bearing crankshaft and four-wheel independent suspension by torsion bars, but this led to high production costs, comparably high weight, and its very comfortable ride was offset by cramped accommodation. Nonetheless, the Carol was an incredible success in the marketplace, capturing 67% of the Kei market in its first year. A better equipped DeLuxe version was added in May 1962, along with a changed angle of the rear window to help it stay clean. In September 1963, shortly after a reshaped combustion head and upgrade to 20 PS (15 kW), a four-door version appeared. In October 1966 a minor facelift took place. The car was lightened somewhat, new bumpers were mounted, and the spare tire was moved from the front to the engine room, freeing up scarce luggage space. Also, the gearbox was now fully synchronized. The last modification took place in 1969, when in response to stricter safety standards a driver's side headrest and provisions for seatbelts were fitted. Production continued until August 1970, by which time 265,226 Carol 360s had been built. 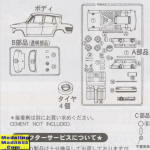 Mazda did not offer a Kei class passenger car for two years, until the 1972 introduction of the Chantez. This is the police car boxing though you can make a standard sedan by not using the police decals or the red light options. Like all of the Arii kits in this series, is a curbside (which means the kit does not have an engine). Typical of the series, there are no chrome parts, those requiring the modeler to paint. Fortunately for the modern builder, there are several excellent chrome paints on the market. Construction is quite simple and you will spend most of your time painting. The interior is a full floor pan with wheel wells into which you attach the seats and interior door panels. There is a head rest only for the driver's seat. When building this you also install the wheels and axles. You have two plastic axles with this which are plenty strong enough. Wheels are separate from the rubber tires. The axle housing in the rear needs to be installed prior to the rear axle assembly. The only item for the center console is a gear shift. The instrument panel with steering wheel installs in the body and there is a decal for the instrument. Interestingly, this kit does not have side windows, just a front and rear one. There are inside door panels. Headlight lenses are separate clear items as are the tail lights and turn signals. I have had success painting the area behind these last two items with white or chrome and using orange and red Sharpies for color. Once all the bits are attached to the body, it can be glued to the chassis and the exhaust pipe added. There is a small red plastic sprue with the police light and you are to choose the smaller of the two. Instructions are a single folded sheet with pretty much everything in Japanese. Fortunately, the construction drawings are well done and should not be an issue. For the police car, all the black and white areas will need to be painted. For a civilian version there are plenty of images on the 'net to help. The small decal sheet is well done and has proven to work quite well on previous kits. These kits are a nice distraction from the usual for those of use who don't usually do cars. For those who do, they can provide a break from the normal scale. That this one is a police car is a bit of a bonus though I doubt there were many high speed chases using it.